"Great experience, Mary is an amazing dentist. I was looked after from start to finish. Highly recommended"
If you would like to test us out why not book in for a free cosmetic dentistry consultation. You can discuss anything you like- Implants, Invisalign, veneers, whitening- whatever interests you. 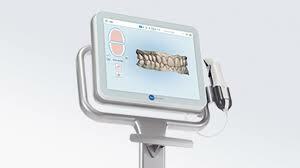 You can also get a complimentary scan- no more horrible impressions.